The annual trade fair for the security industry, Secutech 2018, will once again be held at the Taipei Nangang Exhibition Center in Taiwan from 25 – 27 April 2018. Moving beyond traditional security devices and solutions, this edition will cover the most advanced security and safety, IoT, artificial intelligence, big data, intelligent video analytics and smart identity technologies from over 400 exhibitors from 15 countries and regions. These companies will be grouped into seven intelligent solutions pavilions showcasing their most in-demand applications for the growing vertical market sectors. This includes: Smart street lighting, safe city and intelligent transportation, smart retail, smart factory, intelligent healthcare, smart living and smart disaster prevention. AI and IoT-based surveillance Held in conjunction with the exhibition are a number of activities to invigorate the industry’s connection with the market and immersive technologies. One of the major highlights is the Security + AI Forum. As suggested by the name, the forum will focus on how AI drives the transformation of the security industry. 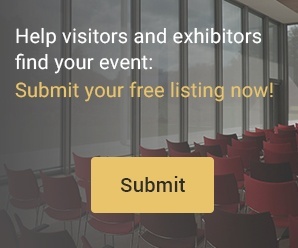 The two-day forum will break into individual sections addressing different security and AI applications, and AIoT technology (key components).The two-day forum will break into individual sections addressing different security and AI applications, and AIoT technology There will also be a Key Components Pavilion and a business matching session scheduled during the forum to enhance interaction between the experts and users in the related fields. Meanwhile, a new Software Innovation Zone will feature various recognition systems such as 2D and 3D image recognition, facial recognition, licence plate recognition, deep learning, machine vision and other powerful solutions for the industrial, agricultural, healthcare and business management sectors. Smart home to secure living The advancement of smart home devices has quickly evolved to match with the growing desire for smarter living. As an international smart home business sourcing platform, the concurrent SMAhome Expo 2018 will provide solutions for a better and efficient smart home living through five main applications: Smart Home, Telecare, Smart Office, Staff-less Shop and Smart Hotel. Visitors can also learn more about the latest technologies for smart house, safe house and comfort house in the Scenario Demo Area and from the SMAhome Premier Product Awards demo area. Industry experts will be present to explain the integration of smart home devices with Amazon Alexa, Apple Homekit, and Google Assistant.The International Fire & Safety Expo will demonstrate IoT, big data, cloud, and integrating smart applications for fire safety, disaster prevention, and rescue Integrated fire safety Another concurrent event is the 17th edition of the International Fire & Safety Expo, which will demonstrate IoT, big data, cloud, and integrating smart applications for fire safety, disaster prevention, and rescue. The Asia Pacific Smart Disaster Prevention Summit will be held during the event to provide insights in intelligent applications, disaster prevention and fire protection within the region. Secutech, organised by Messe Frankfurt New Era Business Media Ltd, is a platform that provides optimum opportunities for gaining a foothold in dynamic growth markets all over the world. Presently Messe Frankfurt organises events in Europe, Asia, the Middle East and South America. March Networks, a global provider of intelligent IP video solutions and EZUniverse, a provider of cloud-based retail data analytics, announces a strategic partnership and the launch of a new cloud-based video and retail data analytics service for the quick service restaurant (QSR) and fast casual market. March Networks Searchlight March Networks Searchlight for QSR powered by 360iQ combines March Networks’ industry-leading enterprise video solutions with 360iQ, the cloud-based data analytics solution from EZUniverse. It provides franchise owners and managers with valuable business insights into sales and productivity numbers, best-selling products, labour reports and other operational data in real-time using customisable dashboard reports on either a secure, intuitive mobile app or a browser-based software client. The service also provides loss prevention reports with fully integrated point-of-sale (POS) transaction data and high-definition video, as well as live and recorded surveillance video views. Franchise owners can also subscribe to remote store audits performed by a team of trained experts in the area of loss prevention, store operations and compliance. March Networks will deliver Searchlight for QSR working with a network of certified solution partners who will perform installation and support services. “With an estimated 250,000 plus QSR and fast casual locations in the U.S., we view this market as a high growth segment,” said Peter Strom, President and CEO, March Networks. “The 360iQ solution stood out as clearly best-in-class based on its proven value to QSR retailers, exceptional user experience and scalability. When combined with our leading enterprise video solution, we are confident that we have a very competitive service offering and we look forward to working with EZUniverse to continue developing innovative business solutions.” Growth and expansion In addition to the partnership, Peter Strom and Jeffrey Liu, Chairman of Infinova, have joined the Board of EZUniverse to help oversee its growth and expansion plans. "We look forward to working with the March Networks team to build a leadership position in the global QSR space" “EZUniverse has always been on the frontline of technology and product innovation, and we are thrilled that 360iQ has been recognised by a global player like March Networks. We look forward to working with the March Networks team to build a leadership position in the global QSR space. With this partnership, we are receiving significant interest from many of the international brands, and now the product will have both a powerful worldwide presence and a sizeable salesforce to commandeer the market,” said Leszek James, Chairman and CEO of EZUniverse. 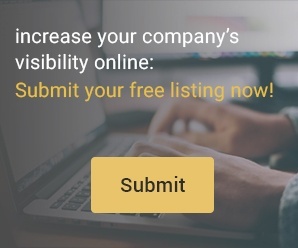 Developed specifically for the QSR sector, the Searchlight service powered by 360iQ addresses common barriers that can make it difficult for owners to adopt valuable business intelligence tools. Both the Searchlight for QSR mobile app and software client are extremely intuitive, enabling new employees to learn the tools quickly and use them more effectively – a critical requirement in an industry with a staff turnover rate of more than 70% (National Restaurant Association, 2016). The service also eliminates upfront capital costs in favour of an affordable monthly fee that includes the industry’s most reliable video recording platform. G2E Asia 2017, the marketplace for the Asian gaming industry, held in Macau from May 16 to May 18, was the largest edition in the show’s history. Marking another year of setting new records across several key areas: The show spanned 28,000 sqm of exhibition space – 27% increase over last year; The total number of visitors increased 28% over last year – with close to 14,000 in attendance; and The attendees included over 1,650 VIPs and top-quality buyers, producing a remarkable growth of 75% from 2016. "Despite the gaming industry in Macau’s tumultuous global and economic factors, we continue to see the evolution of gaming in Asia, with Macau as the ultimate regional hub,” said Josephine Lee, Chief Operating Officer of Reed Exhibitions Greater China. “G2E Asia set new records this year in the number of visitors attending, exhibition space and diversity of international representation at the event. These factors all benefit G2E and the Asian gaming industry as a whole.” Product Hot Hits Product Hot Hits, a newly introduced feature at G2E Asia 2017, was particularly successful at the show. Hot Hit boards were installed in conspicuous spaces around the halls to display the top ten products that were scanned the most by visitors through the show’s mobile app. The exciting visuals and product highlights generated additional buzz across the show floor. Winning product The product with the highest number of scans at G2E Asia 2017 was Mobile Gaming White Label Solution by GWIN. J.W., Manager of GWIN Group said, “What a simple but impactful innovation by G2E Asia. We’re honoured to be crowned as the inaugural G2E Asia Product Hot Hits champion. This has helped us increase the exposure of our brand, and the number of incoming orders has also increased tremendously. GWIN is grateful for this recognition of our hard work. We will continue to strive to launch more innovative features into our products for operators to expand their iGaming business territory. And of course, we are already looking ahead to G2E Asia 2018.” G2E Asia 2018 will take place from May 15 – 17, 2018 at The Venetian Macao, Macau SAR, while G2E Las Vegas will be running from October 3-5, 2017, at Sands Expo Center, Las Vegas. Research shows owners of retail, office and hospitality businesses seek smarter technology to tackle theft and loss A survey of small businesses in the UK has discovered that 84% of retail, office and hospitality owners are looking for video surveillance with high resolution images and intelligent features such as remote monitoring to provide superior security for their premises. 85% also stated that high quality and reliability would be important purchasing considerations when looking to invest in video surveillance. The survey demonstrates a wide consensus amongst small business owners that current surveillance solutions in place are not viable to provide the necessary proof of crime at a time when the cost of shop theft is at an all-time high. It also reveals that new technology is sought to provide the required security level within their business. Video surveillance key challenges Axis Communications, the provider of network video, carried out the survey to establish small business owners’ key challenges regarding video surveillance and how they believe it could be improved. In addition to stating that high quality images and the ability to access footage remotely on a smart phone or other device is desirable, 70% also stated that ease-of-use is also high on the agenda. In light of accessible intelligent technology, 82% of small business owners are considering new video surveillance technology for their premises to provide a more up-to-date solution. The survey also demonstrated challenges currently faced by small business owners in regards to their existing video surveillance solutions. A number of factors were revealed as unsatisfactory within their present set up including poor quality of images and difficulty of use. These small business owners reported facing issues with their current video surveillance including “bad quality of system”, “lack of ability to monitor outside of premises” and providing “limited proof of crime”. This feedback further confirms the desire for more intelligent surveillance solutions to help protect businesses and make staff feel safe. "As legacy video surveillance solutions become obsolete, we are witnessing a shift in the ways small businesses adopt new solutions" Accessible and affordable network cameras Atul Rajput, Regional Director of Northern Europe, Axis Communications states, “Pioneering technology and the benefits that come with it shouldn’t be limited to corporate entities. With the help of dedicated IT and security installers, the network camera is becoming more accessible and affordable for the small business than ever before. Many small business owners have an awareness that high quality, intelligent solutions are available and are looking for guidance as to how they can make the most of this to protect their premises and ultimately their bottom line. A rise in theft and the continued improvements in technology such as remote monitoring and high-quality images are only set to exacerbate this.” Atul Rajput continues, “As legacy video surveillance solutions become obsolete, we are witnessing a shift in the ways small businesses adopt new solutions. Once regarded as a standalone investment, many now consider IP cameras as a vital upgrade that forms a part of their larger IT infrastructure. Along with this, users are also looking to remotely access live and pre-recorded video footage anytime and anywhere. The ultimate benefit of this is a solution that delivers information rapidly, cost-effectively and that can benefit from the latest applications as and when they become available.” AXIS Companion Line The recently launched AXIS Companion Line from Axis Communications is a network camera solution tailored for small businesses. The new range transfers enterprise level knowledge into a small business solution at a cost-effective level. The line uses high quality technology for strong reliability and excellent image quality. Easy installation and rapid set up time ensures that there is minimal disruption for small businesses and a dedicated support allows installers to provide an efficient service. Cultural and hospitality venues are attractive targets for terrorists due to their public accessibility Over the past 40 years there have been numerous attacks carried out against cultural and hospitality venues in the furtherance of religious, ideological, criminal or political beliefs. By default, cultural and hospitality venues are attractive targets for terrorists due to their public accessibility, the volumes of visitors and guests or because of what the venue represents; in short because they are ‘soft targets’.Examples of such attacks include the destruction of the Buddha’s of Bamiyan in Afghanistan by Mullah Omar, the 2015 attack on the Bardo museum in Tunis, the coordinated attacks in Mumbai through to the recent attack on a Berlin Christmas market where an articulated lorry was used as a weapon.So how can we protect these venues from terrorist attacks without making them a fortress or detracting from their main functionality?Understanding terrorist threatsWhen implementing protective strategies, the first thing I need to understand is what threats exist and what risks they pose to the organisation or individual being protected. In this case the threat source is terrorism. What is terrorism? There are many different definitions of terrorism but the one that I have used for over 30 years is: “The unlawful use, or threat of violence to achieve political or ideological aims.” This differs from organised crime which may use terror but is concerned with financial reward and gain. I define a terrorist as “Somebody who knowingly takes part in, supports or assists an act of terrorism.When implementing protective strategies, the first thing I need to understand is what threats exist and what risks they pose to the organisation" The next stage is understanding the ways in which the threats can impact the organisation and the risks that exist from known, or anticipated attack methodologies. Whilst the threat from traditional attack methods continue; car bombs, grenades, firearms etc., these are by no means the only threats that should be considered. The 9/11 attacks used aeroplanes, a boat was used against the US Cole and in 2016 a lorry was used to devastating effect to kill 86 and physically injure over 400 civilians during the Bastille Day celebrations in Nice, France.Introducing protective security measuresOnce understood, the risks and vulnerabilities that exist for each attack method can be assessed and categorised. This allows protective security measures to be introduced that reduce the likelihood or impact of any attack that takes place. For ease, I categorise the protective security measures in one of four ways: Physical measures Operational (procedural) measures Technical measures Educational measures These measures should be overarching and work collaboratively with each other to create defence in depth and increasing resilience and robustness. The idea being to provide a means of protecting assets and deterring, detecting and delaying attackers, whilst increasing response capabilities. Once understood, the risks and vulnerabilities that exist for each attack method can be assessed and categorised Museums, hotels, bars and restaurants are places where people go to for relaxation and pleasure. Therefore, the implementation of security measures must be carefully considered so that the organisation is still able to function without destroying or negatively impacting the customer experience. Understanding an organisation’s risk appetite and tolerance levels are almost as important as the security measures that are introduced to protect them.Physical security optionsPhysical security measures include barriers, fences, secure doors and windows. They can also include security personnel and the creation of stand-off and vehicle mitigation measures. CPTED methodologies and design practices are a great means of preventing certain attack types and creating better response capabilities. In some countries, security personnel can be armed, but not in all. During the 2017 New Year celebration attack at the Reina nightclub in Istanbul an armed police officer and 35,000 on duty police could not prevent the attack that resulted in 39 deaths.Although technical security measures may not deter or really delay terrorist attacks (unless used as part of a physical security measure) CCTV, search equipment and access control systems do provide an ability to identify pre-attack activity including surveillance and penetrative testing.Security education for staffAn organisation’s operational practices and procedures are a great protective security resource. Levels of alertness, introduction of surveillance detection programmes involvement of all staff in the security programme, correct search procedures and robust access control to reduce the target attractiveness of the venue.Security education can enable 100 people to be involved in a surveillance detection programme instead of just the security team Security education is often either forgotten or not considered by many as a fundamental security measure. Security education allows staff to understand the security measures that exist, why they exist, the actions they are to take and the part that they can play in protecting themselves, visitors and venues from attack. Security education can enable 100 people to be involved in a surveillance detection programme instead of just the security team and help staff understand suspicious activities and reporting practices. Security education helps deliver and maximise the effectiveness of each of the other security measures that are introduced. Proactive planningAn organisation has to be realistic in its approach to protection from acts of terrorism. The likelihood of preventing a terrorist attack is low, fact. Unless intelligence was available or surveillance detected the first a venue would know about it would be the attack itself. However, there is still an ability to make a significant impact in protecting visitors, staff, physical assets and reputation. These include: Proactive immediate response planning Establishing a recovery plan Providing welfare and medical support to victims. Indirect victims may include first responders, crisis and emergency management teams and families of direct and indirect victims I still find organisations and venues that do not have emergency or crisis management plans that are specific and fit for purpose. Not only is it critical that a plan exists but also that senior management know and understand the actions that they need to take. Plans should be exercised so that the operational, tactical and strategic elements are being tested and where vulnerabilities are identified steps are taken to reduce or mitigate them.Recovery planning is a vital part of your crisis management practices. Is there a fall-back location, can there be partial opening, what systems are operable and will they function off-site? The sooner an organisation or venue can normalise operations the speedier the recovery will be. The longer it takes to recover, the increased risks to an organisation’s operations, finance and reputation.Welfare and medical support is not just about those directly impacted by the terrorist attack it also includes the indirect victims; first responders, crisis and emergency management teams, families of direct and indirect victims. Consider counselling, establishing outreach programmes, town hall meetings and lessons learnt. Consider the welfare benefits of senior management visiting the scene, speaking with victims and being there to reopen the venue. Often it is not the physical effects that impact an organisation but the psychological effects and trauma suffered, often over many months or years by staff.It has to be remembered that governments spend billions of dollars on counter terrorist programs but they are not able to thwart all attacks Creating a security cultureTo conclude, the chances that your organisation or venue will become the victim of a terrorist attack are very slim and will normally depend on two factors; what you are doing and where you are doing it. It has to be remembered that governments spend billions of dollars on counter terrorist programmes but they are not able to thwart all attacks; neither can you.Implementing sensible, risk based security measures means that resources are not being wasted unnecessarily. Including as many members of staff as possible in educational and detection programmes helps create a ‘security culture’ that everybody buys into.“Failure to plan, is planning to fail!” Is a saying that has stuck with me since the early 1980’s. Whilst you may not be able to prevent terrorist attacks, by ensuring your venue has appropriate plans to respond in a proactive manner the greater the opportunity to reduce the risks and resuming activities in a timely manner. With about 5,000 visitors circulating through its facilities every day, the Hard Rock Hotel in Riviera Maya needed to strengthen its video surveillance system. The Hard Rock Hotel in Riviera Maya receives celebrities from all over the world, including couples celebrating anniversaries and families enjoying their vacation. The property covers 37 hectares and can host up to 3,800 guests in its 1,264 bedrooms. Additionally, several events are held at the hotel, from concerts to private celebrations, making the hotel a very crowded place. 5,000 visitors circulating through its facilities every day, the Hard Rock Hotel in Riviera Maya needed to strengthen its video surveillance Outdated security system During those busy periods, the amount of people walking through the hotel really underlined the fact that the old security system was unable to monitor certain areas of the property, as there were only 16 cameras installed. Out of those 16 cameras, only 12 worked properly, which diminished this luxury property’s capacity to react to any incident captured by its outdated security system. With such large amounts of people walking through the hotel, ensuring effective and comprehensive security surveillance monitoring was becoming a big issue, one that needed to be resolved. For that reason, three years ago the hotel decided to invest in better security, so that its guests would not just feel comfortable, but also safe, especially those visitors arriving with expensive goods or with privacy requirements. In the analysis of the property, Julio Herrera López (security manager at the Hard Rock Hotel, Riviera Maya), along with his team, evaluated the security conditions at the hotel and invited integrators to propose solutions. Out of the proposals submitted, equipment from Hikvision was chosen because the system fitted the parameters of the hotel’s project perfectly. Another factor in favor of the world’s leading supplier in video surveillance and security solutions was their favorable warranty terms. Out of the proposals submitted, equipment from Hikvision was chosen Installation process The installation process of the new security system was developed in phases. In the first stage, 89 Hikvision cameras were mounted. Later, 30 additional units were installed and currently, the hotel has 324 EXIR Series IP cameras, two DS-9664NI-I8 NVRs and two DS-96256NI-F16 NVRs, and one 4-channel video wall. With the new Hikvision surveillance system now installed, the hotel can effectively monitor common areas, entrances, sectors with high flow of personnel and areas dedicated to hosting events, as well as external hotel areas. With the support of the new cameras it has been possible to protect 349 invaluable objects, including the ‘Memorabilia’ collection displaying celebrities’ items. These items include a guitar and a jacket from Elvis Presley, drums from Aerosmith and Matchbox Twenty, guitars from The Police and Bon Jovi (who starred in the inaugural concert at the hotel), and articles from Black Sabbath and the Rolling Stones. In the first stage, 89 Hikvision cameras were mounted Guest satisfaction Some guests have also expressed their satisfaction about the fact that thanks to the coverage of the security cameras, the hotel has the capability to avoid losses of guests’ belongings. “The challenge was to implement a system with the most up to date security technology,” says Gilberto Rocha, Operations Manager at Opcom, the systems integrator in charge of the project. “We installed a 10Km optical fiber trunk network for optimum video fidelity, which makes this project the first of its kind to use such an amount of Hikvision only IP cameras. Video surveillance system “Thanks to this video surveillance system we can be aware of any event happening at the hotel, so for example, we can provide timely first aid when required, or keep an eye on children and our hotel staff to make sure they are safe. Similarly, we can react to any disturbance in our premises. The new security system has remarkably improved security at the hotel and we are now also able to record evidence of any situations or accidents that occur,” says Herrera López. With this camera solution, the hotel’s 106 strong security team is able to monitor 2,300 hotel staff and 3,800 guests that occupy the hotel on a normal day, and if is necessary, up to 4,500 visitors during special events, such as concerts. With this camera solution, the hotel’s 106 strong security team is able to monitor 2,300 hotel staff Hikvision equipment According to Herrera López, “Hikvision has worked hand in hand with the hotel from the very moment the installation of the system began. Engineers from the company traveled to Mexico to supervise the operation of the security system. At the same time, integrator Opcom were prompt to provide any assistance required by the hotel.” The Hard Rock Hotel, Riviera Maya is so satisfied with the performance of the new system, that Hikvision equipment has been chosen for the security system for the Wood Ward Campsite, which is due to open soon, as well as for the Único Hotel. This establishment is currently under construction and located less than 15km from Tulum, in Kantenah beach (Riviera Maya). Following the parameters of the video surveillance system and monitoring model deployed at the Hard Rock Hotel, Riviera Maya, 164 cameras will be installed at the Único Hotel. Meeting a customer’s expectations is a key component of success for any business, including the physical security market. However, understanding customers’ expectations is a big challenge, which is made even more difficult because those expectations are a moving target. We asked this week’s Expert Panel Roundtable: How are customer expectations changing in the physical security market? Their wide-ranging answers highlight elements from technology expectations to adaptability to change. What effect does privacy have on choosing a surveillance camera location? We asked this week’s Expert Panel: What are the limitations on where video cameras can be placed because of privacy? With hundreds of new cameras installed every day, the likelihood increases exponentially that a camera will be placed in a location where it violates privacy. In fact, threats to privacy are often among the largest objections when video surveillance is proposed, whether in a public area or in the workplace. Allaying fears about undermining privacy is a basic requirement to make such systems acceptable to the public. It’s a touchy subject, but one our Expert Panel is willing to address. What is the value of "full-frame-rate" video? The evolution of IP video has placed a lot of attention on the resolution of video, as measured in the growing number of pixels in a frame. But another variable, receiving less attention, is the number of frames captured per minute (fps). We inherited the idea of “full-frame-rate” video from the analogue world, but increasing numbers of pixels (and more data!) have sometimes led to use of slower frame rates. We asked our Expert Panel: What is the value of “full-frame-rate” video? Absent specific compliance requirements, what might suffice as an acceptable frame rate (i.e., less than 30 frames per second [NTSC] or 25 frames per second [PAL])?